"Ocean Road, Narragansett Pier, R. I." by A. C. Bosselman & Co, New York. 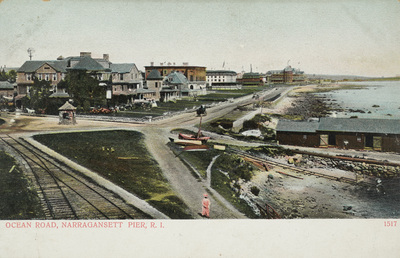 Ocean Road, Narragansett Pier, R. I. A. C. Bosselman & Co, New York. A. C. Bosselman & Co, New York., "Ocean Road, Narragansett Pier, R. I." (1907). Rhode Island Postcards. 4.